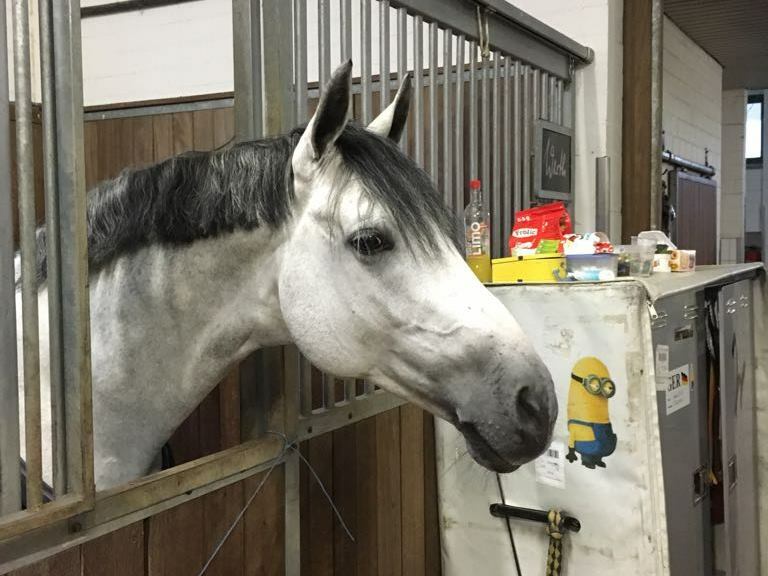 “Unfamiliar stable — old friends”, that’s what Belantis seems to be saying as he enjoys a “nosy” momnt with Emilio at the stable in Warendorf during the A team’s training camp (the third horse I took along was Quitnus, whose start in Hagen I’m looking forward to particularly). 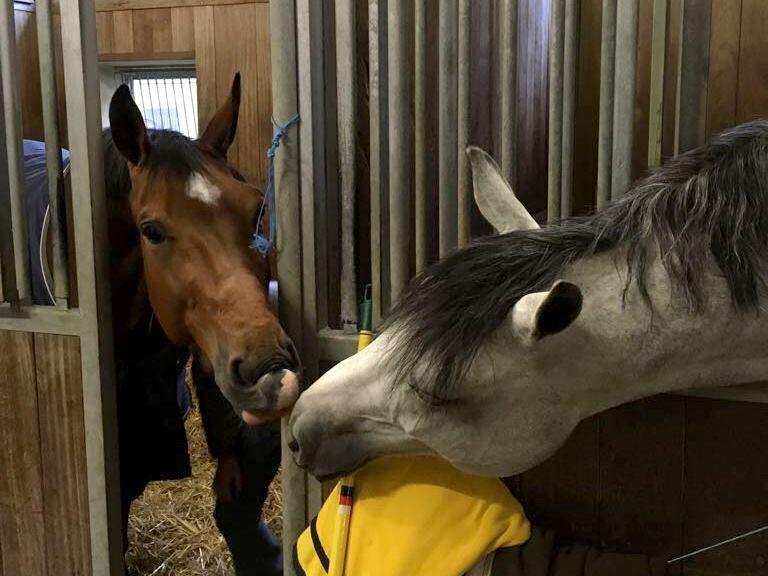 The mood among the riders, trainers and grooms was equally good, and now we’re all counting the days until our first outdoor competition. The team coaches once more turned those three days of training, video analysis, physio therapy for the riders and “teambuilding” dinners into an invaluable experience — thank you very much. 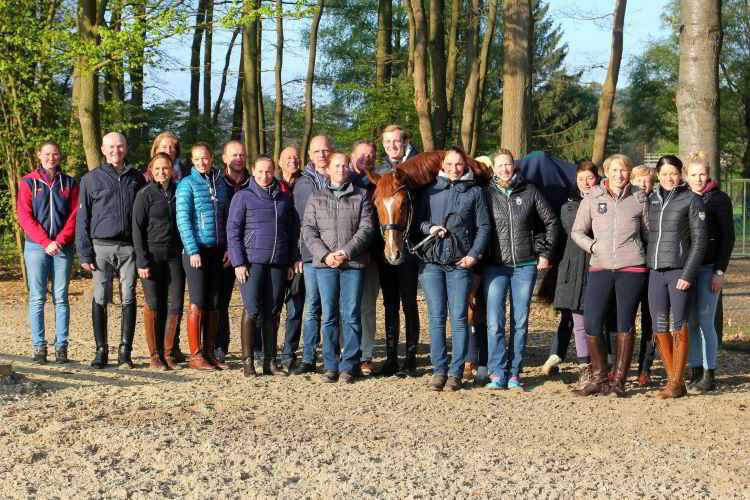 Thanks also to the stable team in Warendorf and to Uta Helkenberg for the group photo.